1. 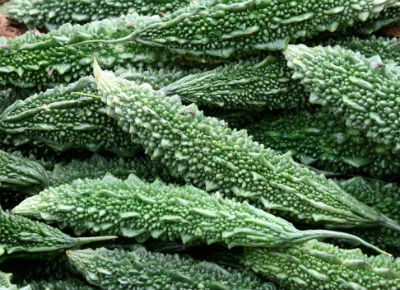 Wash and cut karela into small pieces. 2. Add turmeric powder and some salt, leave aside for a while. 3. Heat oil, fry gourd pieces, stirring all the while. 4. Add chilli powder and some more salt if necessary, fry till dark brown in colour. Tip: If you do not like the bitter taste, squeeze dry the karela pieces, leave on a paper towel for 1-2 minutes for water, if any, to be absorbed. Feel free to comment or share your thoughts on this Fried Karela Recipe from Awesome Cuisine.